Styled with somer bodysuit . 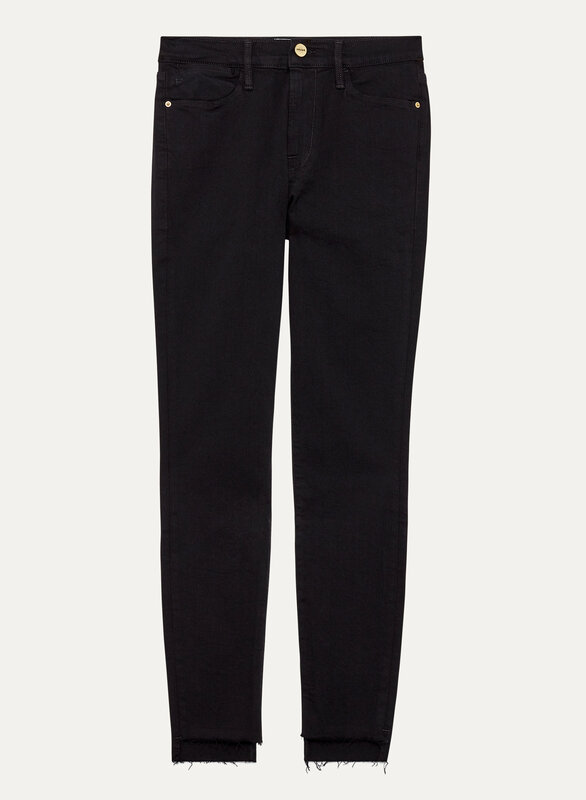 Le High Skinny is made with super-stretch denim that molds the body, holds you in and keeps its shape with wear. The high-rise silhouette is designed to sit at (and accentuate) the narrowest part of your waist. My all time favourite pair of jeans! They fit like a glove and are SOOOO soft! Love them. Fit true to size. Very comfortable. And so happy w the quality. Would definitely recommend these jeans, very comfortable and stretchy. And look really nice on, I have very long legs so only thing I would chance is make pant a little bit longer.